The premier of the Cayman Islands has declared that Caymanians remain “staunchly British” as he joined the Prince of Wales on a tour of the Caribbean outcrops. The Prince of Wales and Duchess of Cornwall have arrived in St Kitts and Nevis on the latest leg of their Caribbean tour. The royal visitors were welcomed by an honour guard, before greeting crowds in the capital Basseterre. 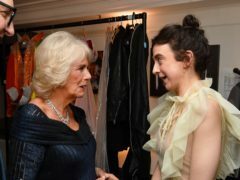 The more domestic violence is spoken about, the “more people out there will really know what’s happening” to those who suffer abuse, the Duchess of Cornwall has said. The Duchess of Cornwall has warned “ridiculous” fad diets are putting people at risk of osteoporosis.